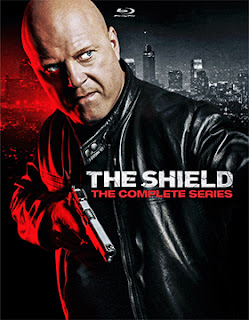 Mill Creek Entertainment announced this past week a long-lead for the 4K restoration of the complete series of the Michael Chiklis Emmy-winning Los Angeles Police Department drama, The Shield. The Shield: The Complete Series will be available as a massive 18-disc Blu-ray collection on Nov. 6. All seven seasons (March of 2002 through November of 2008), which comprised 88 episodes, are included in this collectible set. As to bonus materials, all-new liner notes have been prepared specifically for this Blu-ray presentation by the show’s creator Shawn Ryan, plus there are numerous production and behind-the-scene stills. Oscilloscope Laboratories announced this past week that writer/director Carla Simón’s Summer 1993 will be making its domestic home entertainment rollout as both DVD and Blu-ray product offerings on Sept. 18. The ARR for the film’s arthouse theatrical run comes in at 116 days and box office receipts were a pleasant $180,294. From the antecedents of filmmaker Carla Simón — and, of course, the press surrounding the film’s release — we learn that this is an autobiographical film about a life-changing event in her life. The year, 1993, is also an important point of reference. With that said, Simón does something with the narrative that is not backwards looking, but instead presented from the prospective of a six-year old child. This is important in understanding the film’s narrative. 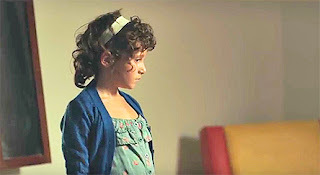 Think in terms of the biblical quote (from 1 Corinthians 13:11), “When I was a child, I spoke like a child, I thought like a child, I reasoned like a child.” Of course, the now adult filmmaker, as one who has given up “childish ways,” could reinterpret and present her childhood experiences in a different light. But that would be a different film. Things that seemed odd and scary back then, were nothing more that worried adults dealing with some pretty horrific issues at hand — things that they did not fully understand. The next verse in Corinthians is often quoted (1 Corinthians 13:1) to convey such things, “For now we see through a glass darkly …” (perhaps a little out of context). In any case, Frida (Laia Artigas in her film debut) is an orphaned six-year old child. Her parents — although not overtly expressed in the film — have both recently died of AIDS and she has been sent to live with relatives in the countryside. From her point of view, simple fun time things with her cousin Anna (Paula Robles) can take on ominous tones … why are the adults so jittery? In retrospective, Simón knows that they were anxiously awaiting lab results to find out if she too was HIV-positive. To a child, there is no understanding of this. Instead the summer of 1993 passes, with adults doing their thing and the little girl having fun and enjoying what pleasures and childhood illusions that she can. 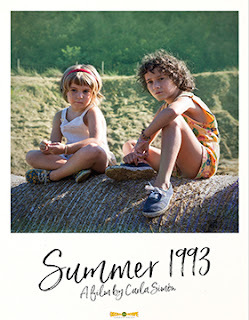 In the end, Summer 1993 is a lyrical film, not for children, but for adults who were once children, especially children who have lived through tough times, but still managed to find the joy in just being a child. Summer 1993 is presented in Catalan with both optional English and Spanish subtitles. Additionally, Oscilloscope is including two Carla Simón’s earlier short films, Llacunes and Las Pequeñas Cosas.